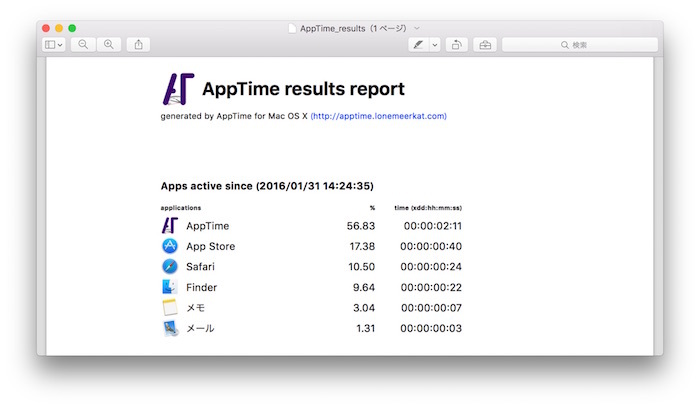 AppTime measures and displays in a well-arranged manner how much time you spend on your Mac in particular apps. 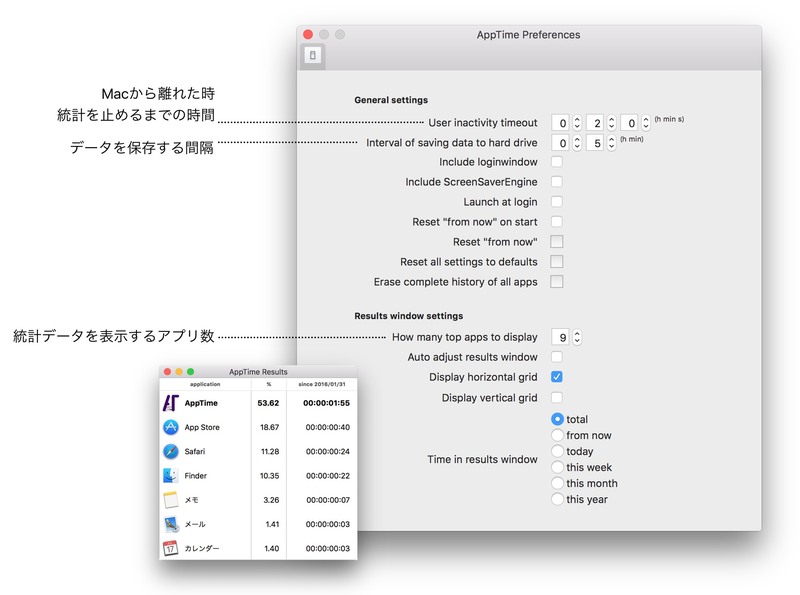 Are you really as productive as possible? Do you think you know how much time you spend working, studying, watching movies or on activities in your favorite social network? AppTime will answer these questions and help you to be more efficient at work and save time!